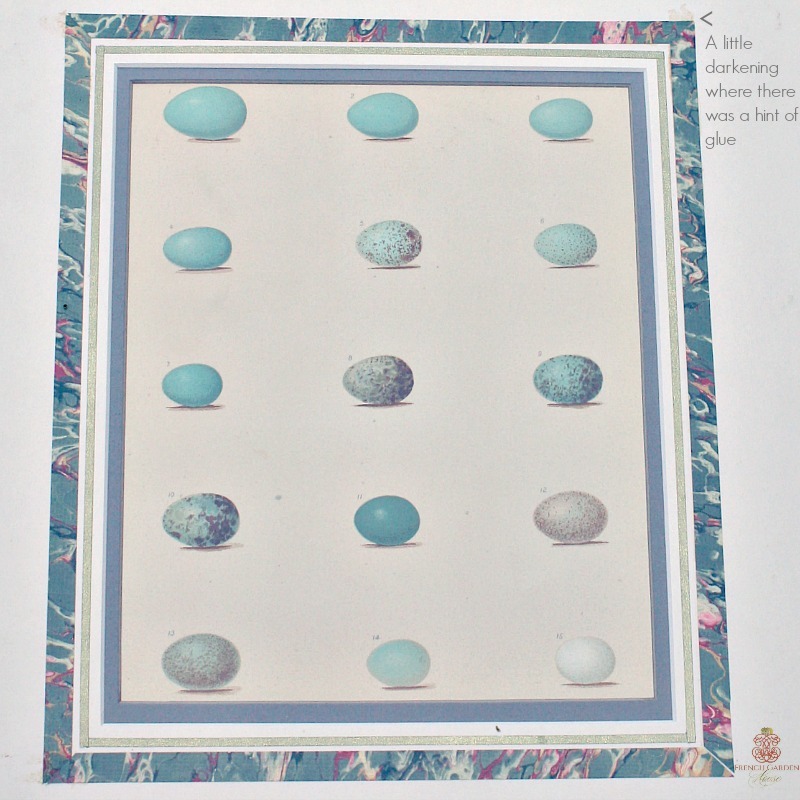 Antique decorative Egg Print featuring 15 eggs, in aqua, green, sage, cream, gold, and brown, just beautiful, this is a large bookplate. The eggs are from the Trush family, Robin, Mockingbird, and bluebird. 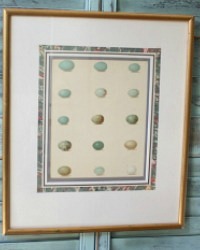 Centered inside a wood frame with a marbled paper mat liner. 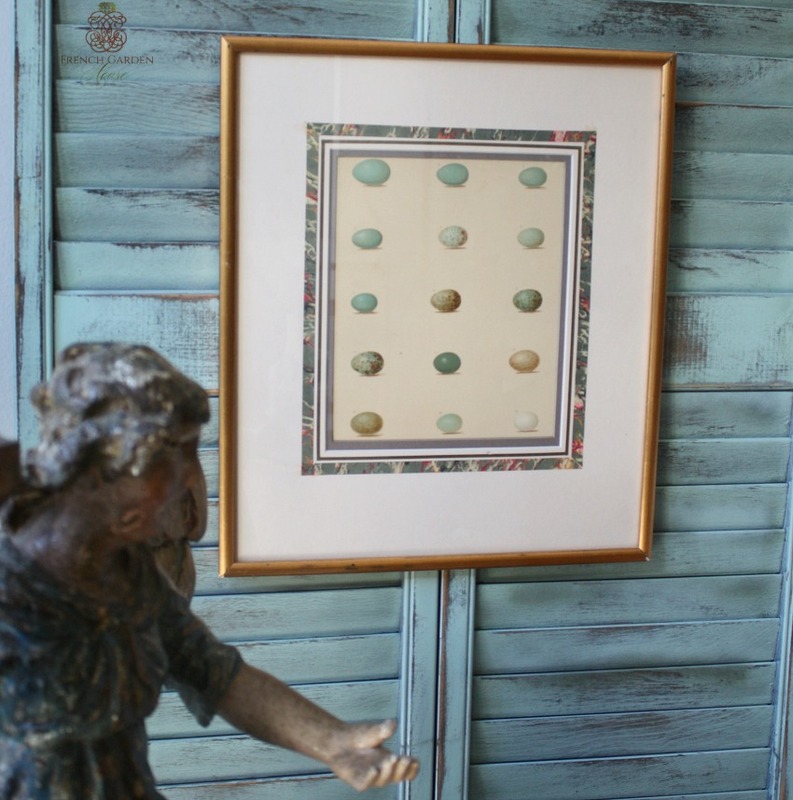 Both the print and the frame are in good condition, the copper colored frame does show slight wear especially on the corners. This print was professionally framed, with a newly added wire hanger on the back. Over the years some small spots on the mat, please see close-up. Ready to hang with other prints, or perhaps to display on a wooden stand with your antique bird books. Measures 17-1/4" x 14-3/4" x 1/2".